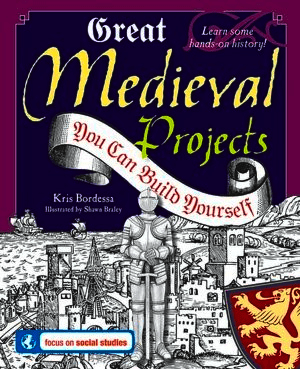 This week we’ve got a comprehensive collection of recipes from our own Kris Bordessa, excerpted from her very cool book, Great Medieval Projects You Can Build Yourself . So you don’t have time or energy or the extra cash to get to a Renaissance Faire this year? Why not make our own at home? The book is written for the 9-12 set, but anyone can benefit from the factoids below, as well as indulge in the historical flavors! And if olde recipes and thynges pique your interest, don’t forget to check out Kris’s book on Amazon. Take it away, Kris! 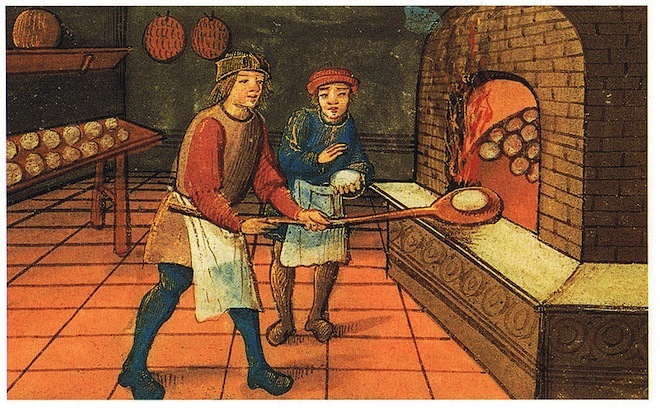 You might think the best dishes and silverware would be used at a feast, but medieval era people didn’t use the same kinds of tableware that we do today. Instead of plates, diners each used what was called a trencher — a piece of stale bread. Diners chose food from a common platter using their fingers, and placed their morsels on their trencher. The only utensil that people used at a meal was a knife. This was important for cutting meat. People used their fingers for all other eating. Diners frowned upon people who licked their fingers while sharing a plate with others — talk about bad manners! Between courses, servants brought bowls of water so that diners could clean their hands. 3. Place the bread pieces directly onto the wire racks in your oven. Bake for about half an hour. If the bread is crispy, like toast, it’s done. If not, continue baking, making sure to check it every ten minutes. 1. Pour the honey and the spices together in a saucepan. Stir over low heat for about 5 minutes, making sure that you don’t burn the honey. 3. Toast the bread lightly and cut into quarters on the diagonal. Set them on a plate, drizzle the honey over the toast and stick the pine nuts upright into the bread. If you’d like, you can make pretty patterns with the nuts. 3. Serve in a bowl–this is one meal that won’t work with a trencher!